Sumps are attached between a box gutter and a downpipe where they collect stormwater before sending it down the downpipe. A rainwater sump catches any debris or unwanted materials from travelling down the drain pipe and into any drains. This ensures that there is no blockage of any kind, meaning that all of your roofing accessories can function at their optimal level. It also ensures that nasty debris doesn’t enter the drainage system and wreak havoc on the environment. Our standard sumps generally come in two depths; 100mm or 150mm, however you can customise the depth to suit your requirements. These two depths are accompanied by a range of different heights and lengths, providing a varied selection to choose from. In some circumstances we can also custom-make sumps specific to your needs. Contact us to discuss your made-to-order options. Available in Zincalume®, Colorbond® steel, galvanised, stainless steel and copper, our sumps are made to blend in with any home. Queensland Sheet Metal manufactures several varieties of sumps including the popular flat bottom sump. Available in a variety of materials and they are perfect for a host of different applications. All standard flat bottom sumps also come with a 25mm flange and can be custom fitted with a drop if need be. Customised sizes are available upon request. 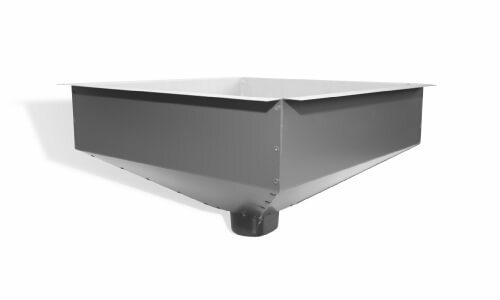 Tapered Bottom Sumps are available at Queensland Sheet Metal in several sizes in a variety of materials. These rainwater products are perfect for modern houses with a variable amount of different angles and shapes. These sumps are the perfect addition to your rainwater system and are built to stand up against torrential rain pour. 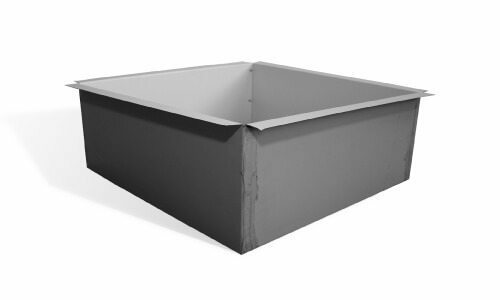 To find out more information about our rainwater sumps, simply contact the experts at Queensland Sheet Metal today. Send us a list of the materials that you require and we are happy to provide a quote for you.